Monika: Today it is my pleasure and honour to interview Ugla Stefanía Jónsdóttir, an Icelandic transgender rights activist. Hello Ugla! Ugla: Hello Monika! Thank you for contacting me. I’m honored to be a part of this. Ugla: Well, my name is Ugla Stefanía Kristjönudóttir Jónsdóttir and I am a young transgender activist from Iceland. 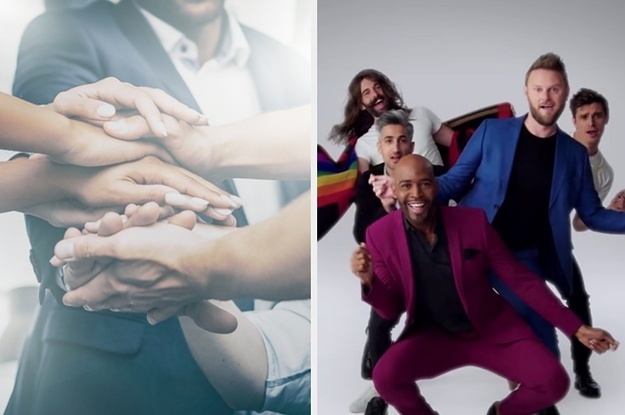 I work for several organizations here in Iceland, including the National LGBTQ organization in Iceland, Q-Association of Queer Students in Iceland and I lead Trans-Iceland, which is the main organization for transpeople in Iceland. I am very passionate when it comes down to human rights and I am starting my master’s degree in gender studies in January in the University of Iceland. Monika: You are the champion of many transgender causes and actions. Could you name some of the initiatives that you took part in? 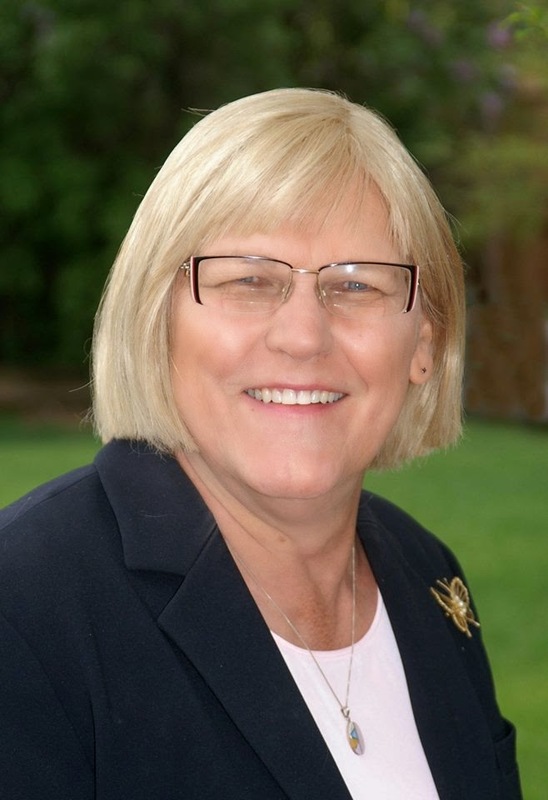 Ugla: I’d hardly consider myself a champion, but I have indeed taken part and or/organized many events and conferences in relation to transgender rights and LGBTQ rights in general. 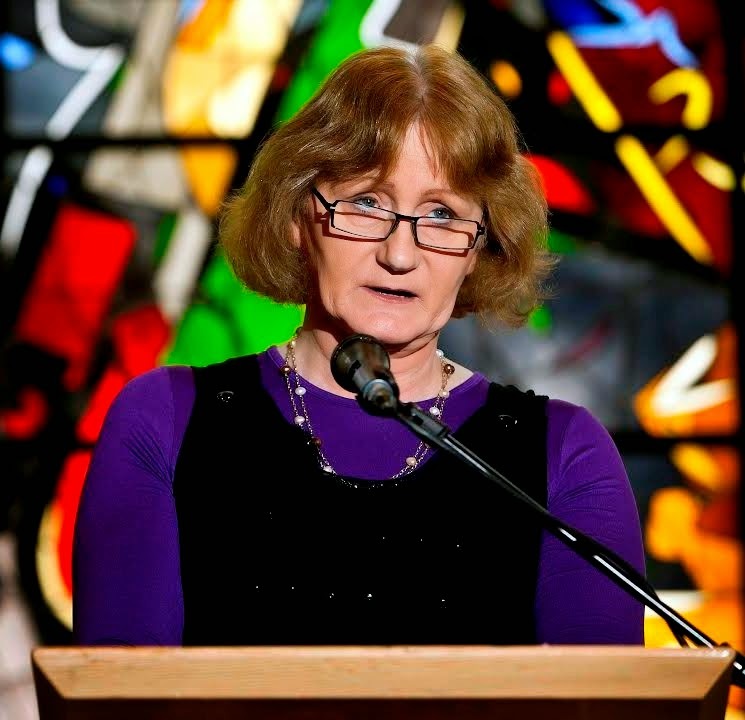 As the chair of Trans-Iceland I have organized Transgender Day of Remembrance in Iceland for several years. I have been a public spokesperson in Iceland for transpeople and I have been very public in the media for the past few years. 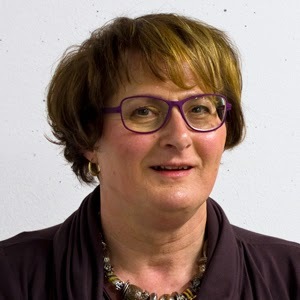 Monika: Today it is my pleasure and honour to interview Greta Martela, a software developer from San Francisco, transgender activist, and co-founder of Trans Lifeline - the first U.S. suicide hotline dedicated to transgender people. Hello Greta! 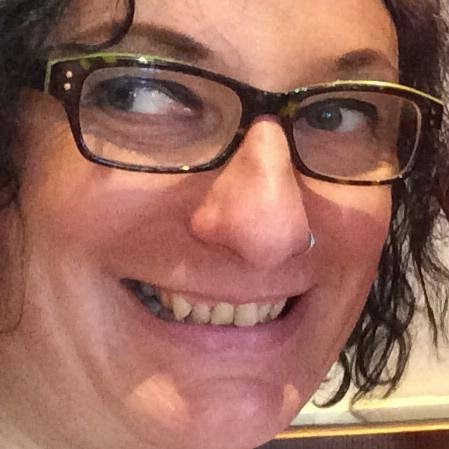 Greta: I’m a trans woman living in San Francisco, CA and working in tech. 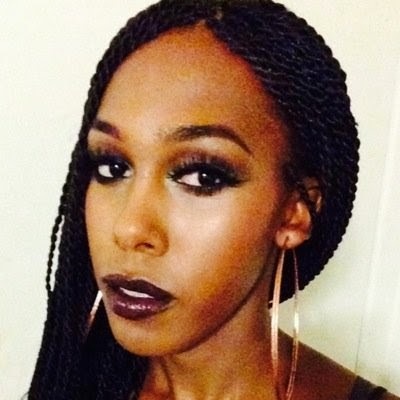 Monika: Trans Lifeline is the first U.S. suicide hotline providing support to transgender people. What is the suicide rate among transgender people in the USA? Greta: We aren’t the first transgender crisis line, but we are the first national crisis line for transgender people staffed solely by transgender people. There isn’t a good rate statistic because so many trans people are misgendered after death. The self reported attempt rate is 41% but obviously this doesn’t include people who die from their suicide attempts. 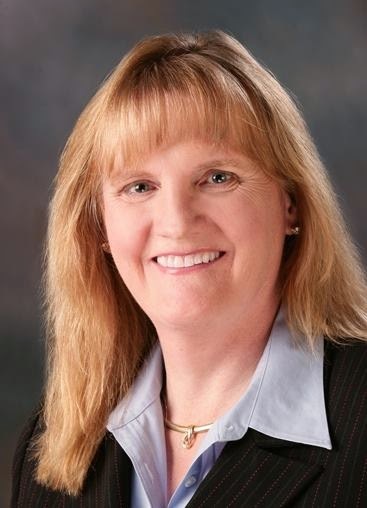 Monika: Today it is my pleasure and honour to interview Pam Bennett, an American advocate for the LGBT community, politician, military veteran, and blogger. Hello Pam! Pam: Hello from Annapolis, Maryland U.S.A. Happy to be here. Pam: Asking a politician (former, but never say never) to say only a few words is like asking the sun to not shine too much today. My first thought every day is that I am the luckiest person on earth. The job I do is a lot of fun, enhanced with wonderful co-workers and bosses who care about their employees. I live on a beautiful little peninsula, southeast of Annapolis, in the Chesapeake Bay. My cat, Boo, loves sailing on my boat. All of this is what I think of each morning because I also temper my happiness knowing that so many transgender people around the world cannot even dream of my world. I have had a great life, too many downs, but a lot of ups to make it interesting. 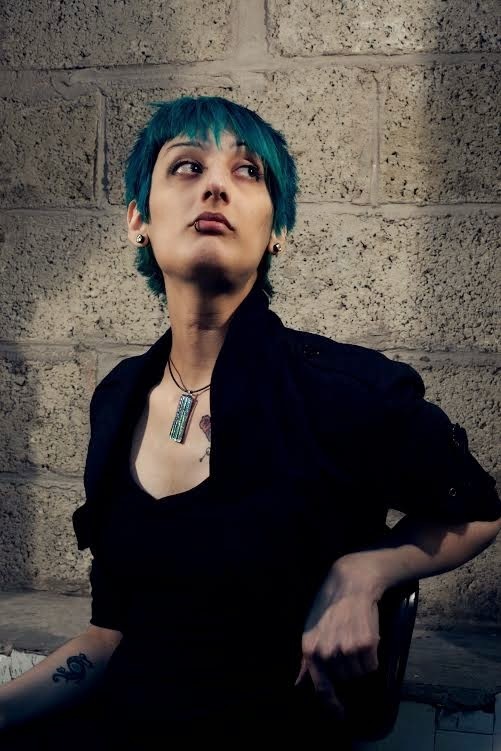 Monika: Today it is my pleasure and honour to interview Maki Yamazaki, a British musician, producer, artist, games developer, trans-feminist and advocate of queer and disabled peoples’ rights, the creator of Dr. Carmilla - a retrospective-futurist cabaret, the head of Silvana Studio and games developer. Hello Maki! Maki: Hi there, lovely to meet you and thanks for having me! Monika: You describe yourself as a transfeminist. What does transfeminism espouse? Maki: Trans-feminism is basically feminism that is fully trans inclusive. It's not implicitly one kind of feminism but an umbrella term for different types. But the key thing is about trying to make things better for women of all kinds, with the inclusion of trans-feminist writings and ideas (such as 'Whipping Girl' by Julia Serano). Monika: Today it is my pleasure and honour to interview Naomi Fontanos, a Filipino trans rights advocate, one of the founders and current Executive Director of transgender rights group GANDA (Gender and Development Advocates) Filipinas in the Philippines, and blogger. Hello Naomi! Naomi: Hello Monika. The pleasure and honor are all mine. How lovely indeed to finally have a conversation with you. Naomi: I grew up in a small town in the Philippines where the country’s superstar also comes from. I was a straight-A student from grade to high school. In high school, I graduated on top of my class and went on to attend the Philippine’s national university, which is like the Harvard of the Philippines, the University of the Philippines Diliman. There, I earned a degree in education. I am a licensed teacher and currently work as an education consultant. I love languages, fashion, music, art and travel. I love to write, read and watch movies in my spare time. Best of all, I love to sing. I love doing karaoke and love spending time with friends this way. Monika: Today it is my pleasure and honour to interview Miranda Yardley, a British accountant, music magazine publisher, blogger and businesswoman. Hello Miranda! Miranda: Hello Monika! Thanks for asking me to do this and for helping my voice to be heard. Monika: You can boast a considerable number of music magazines such as Terrorizer, Dominion, and Sick Sounds, which specialized in extreme music. Has your music preference changed over the years? Miranda: Terrorizer is the only one of these magazines that is still regularly published. My taste in music has always been very broad, I’m open-minded to most kinds and I continue to search out both old and new music that interests me. Monika: How did you enter the publishing business? Miranda: I had an accounting client who owned Terrorizer and wanted to drop the title. The rest is history! 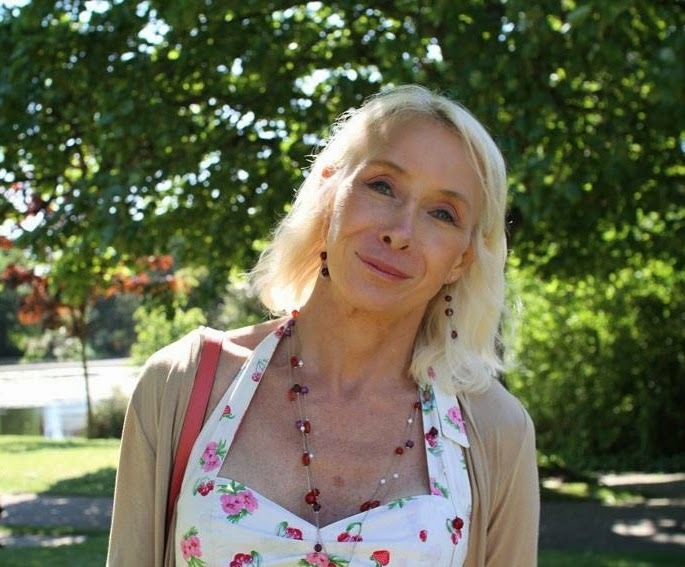 Monika: Today it is my pleasure and honour to interview Sarah Brown, a talented British Liberal Democrat politician and transgender activist, the former Cambridge City Councillor for Petersfield ward, for several years the only openly transsexual elected politician in the UK, listed many times on the Independent on Sunday "Pink List" of the most influential LGBT persons in the UK. Hello Sarah! Monika: I was so sorry when I heard that you failed to be re-elected as a Cambridge councillor in May 2014? How would you summarize your term and legacy? Sarah: Thanks. It was always going to be a tough campaign, given the demographics of the ward I represented and being elected originally during “Cleggmania”. Still, I’m pleased that I managed to do some good during my time as a councillor. The two things I’m most proud of are setting up a fund to help teach disadvantaged kids to swim, and getting a motion to introduce a 20mph limit on all residential streets in Cambridge through council with unanimous support. There were times when it was really stressful though. Monika: Today it is my pleasure and honour to interview Kimberly Luciana Dias, a Brazilian transgender activist, artist, beauty pageant queen, blogger, creator of “Mundo T-Girl – Travestis e Transexuais”. Hello Kimberly! Kimberly: Monika, please bear in mind that I am trying to use the social network of my country to spread the visibility of our trans community, especially Brazilian transvestites and transsexuals. 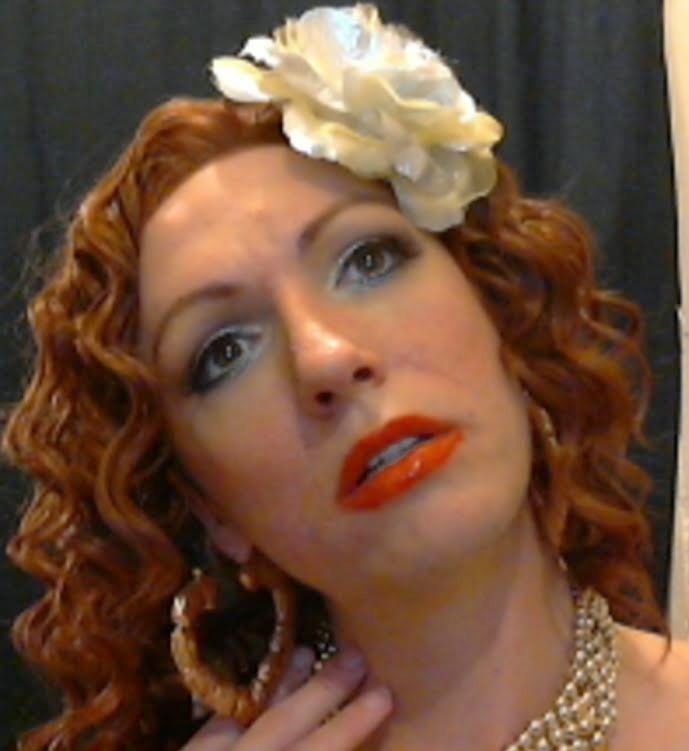 I love doing this, so it is a great pleasure when I'm in front of my computer, building a virtual policy and manifesto, trying to use everything I have learned in my life through activism, stage, model catwalk and my experience as a transgender woman. I am doing this just to show our vision, glamour and beauty because our community deserves it! Kimberly: I am a very accomplished person; I have all my dreams come true, but not all of them. It has taken me a lot of years but although I have a very serious look, I'm a very humorous person. I like my independence and I have a few friends, I love my family and my life story, and I really like my solitude that makes me feel good to be alone! Isley Reust: HAHA Yes, coloring my hair blue was the worst mistake ever. It took me about 6 months to get it back to blonde. Monika: In October 2014 your band “Spectacular Spectacular” finally released the first single titled “Orange Juice”. It is a disco song. Is the whole album going to cover disco songs? When is the album going to be released? Isley Reust: We released our first single on October 7th and are releasing the single to iTunes, Amazon, Spotify, Target Music etc on November 25th. The rest of the album comes out sometime in February. As far as what the album sounds like, it's going to be a very diverse mixture of songs, mainly because we wrote and recorded the record over the course of two and a half years. Nonetheless we promise you won't be let down. We have tracks that are very dark and melodic, to some that are dancey and a couple acoustic tracks that are very intimate. The album flows very well! 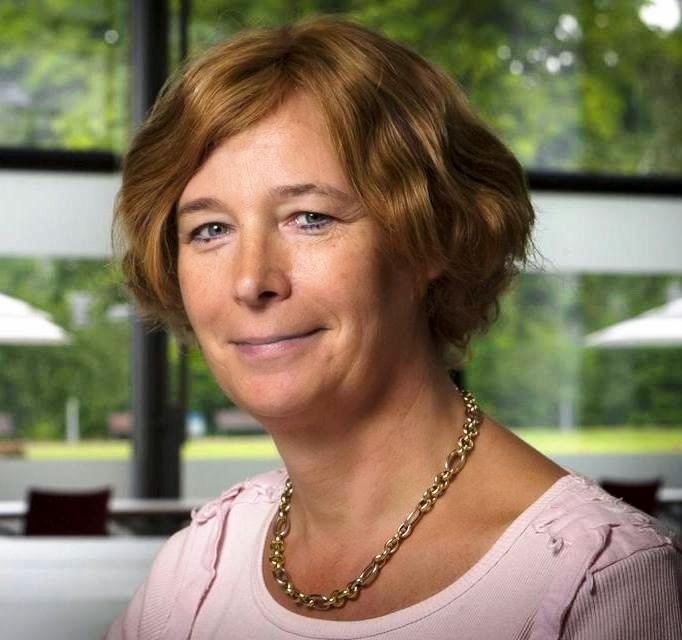 Monika: Today it is my pleasure and honour to interview Petra De Sutter, a Belgian gynecologist, academic, senator, Professor and Head of the Reproductive Medicine Department at Ghent University, Executive of the European Society of Human Reproduction and Embryology (ESHRE), a member of the Royal Belgian Academy of Medicine, a former member of the Belgian High Health Council and of the French Biomedical Agency, author of over 300 journal articles. Hello Petra! Monika: What did you feel when in July 2014 it was announced that you were appointed to the Belgian Senate as a Green Party nomination? Petra: I was very happy and proud. I hope I can contribute to a more equal and just society, and although the Green Party is a small party (just under 10%), we can influence things and make our world greener, more sustainable and also more equitable. Monika: Today it is my pleasure and honour to interview Ahya “Yah-Yah“ Simone, a young woman of many talents from Detroit, model, aspiring make-up artist and harpist. Hello Yah-Yah! Ahya: Hi! Let me first say that I am so happy that you found me interesting enough to interview. Thank you! Yah-Yah: Yes!! And I am so excited for that. Visibility and diversity is very important. It’s time for a breakthrough for trans people in the US. It is time to stand up and be recognized. 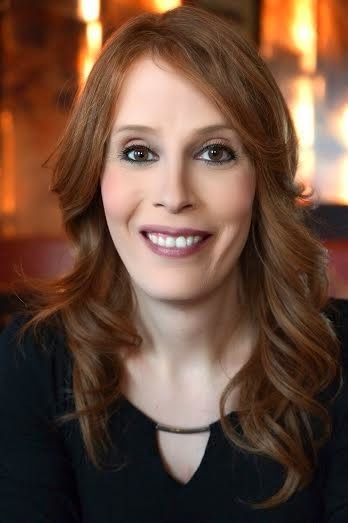 Monika: Today it is my pleasure and honor to interview Jennifer (Bryant) Lydon, a senior account executive at Metro US — a free daily newspaper popular in New York, Philadelphia and Boston; She is also the organizer of the Mid-Atlantic Transgender Community (M.A.T.C.) as well as the hostess of The Raven TG pride events in New Hope, PA. Hello Jennifer! Jennifer: Hi Monika. Thank you so much for allowing me part of your site. It is an honor to be amongst so many inspirational people. 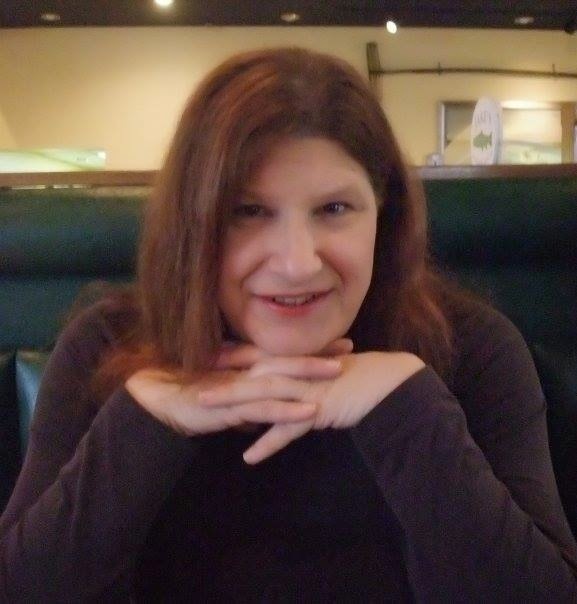 Jennifer: Questions like this are always tough for me… I either say too much or have nothing to say… lol … Anyway, here goes… I am a 48 year old trans-woman that has successfully navigated one life into another. I was married for almost 20 years and have 4 adult children that are still very much a part of my life. I work as an account executive for Metro News Media. I’ve been there for over 14 years… the first 13 of which I worked as a mild mannered male… lol. Times have changed for sure! 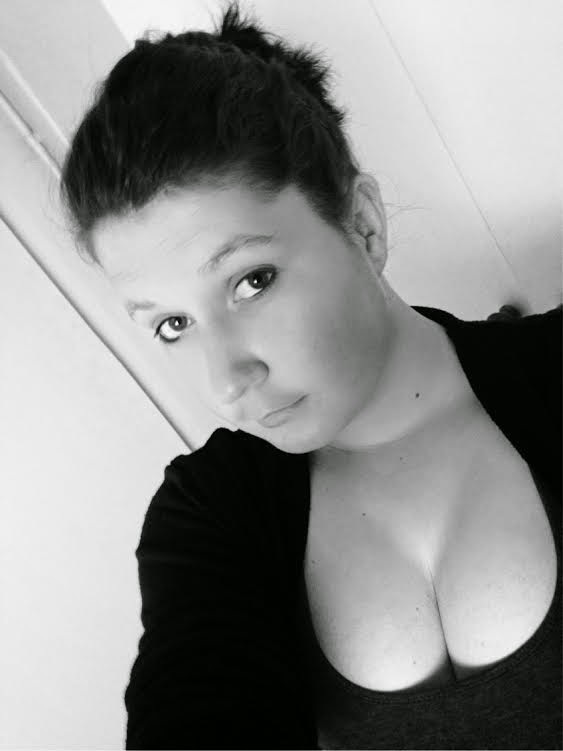 Monika: Today’s interview will be with Jessica Vorster, a young video blogger that documents her transition on YouTube. Hello Jessica! Jessica: Hi Monika! Thanks for inviting me to do this interview! Jessica: I’m a transgender woman, 22 years of age. I’m just trying to find my place on this world. 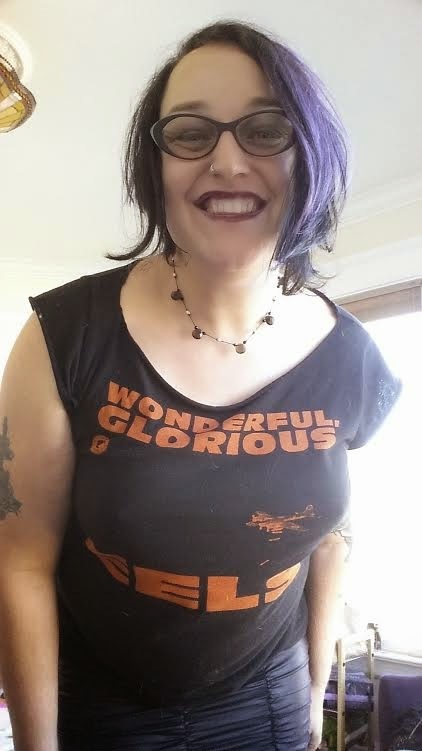 I’ve been living full time since December 2013 and have been on HRT for a year and 10 moths now. I’m a happy go lucky kind of person that likes to talk and help people. Jessica: At first I wanted to raise money in order to go for surgeries, but people wanted to hear the story behind the story so I have been working on a few new videos that will be up on YouTube soon. 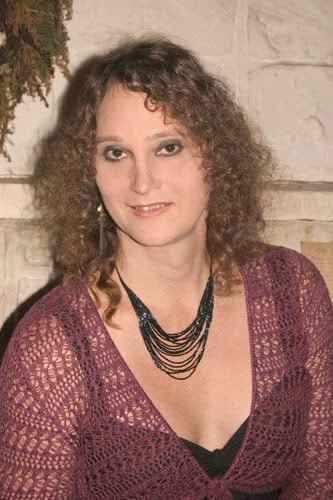 Monika: Today it is my pleasure and honour to interview Alice Denny, a British poet, and transgender activist from Brighton, England. Hello Alice! Alice: Hello Monika, it’s a pleasure to meet you - so to speak. Alice: Well I came out and transitioned later in life than most, after bringing up a family. As such transition has given me a new lease in life, a new energy. It has presented some interesting issues with relationships. I Identify primarily as a woman, parent, poet etc and trans is more coincidental, a reference to my development that has little current relevance. Although in practice it has a big impact on the way I interact in the world and the world treats me. Monika: Today’s interview will be with Abby Grace Hughes, known to friends and family as Abby-Grace. 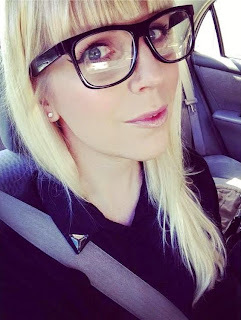 She is a video blogger that documents her transition on YouTube and on her blog. Hello Abby! Abby: Hello Monika, thank you for this privilege. So much has happened in my life. From coming out at around 6, struggling through puberty and school. Touring the UK in my Rock band in the 80s and early 90s. Transitioning in my early 20s to turning away to have children. Three gender dysphoria caused nervous breakdowns putting me into psychiatric help. Coming out. Starting hormones. Changing name. Being beaten up for being trans. Life threatened. Had people arrested. I falsely had the police called out on me. Falsely tricked and lied about. Ran away from the UK to the States. Got stuck in Germany during my connecting flight because of a slight error on my Visa which cost an extra $800. 2 years RLE now as good as complete. Finding work here and processing my Visa. Then I’m off to college if I can. I think I am now better equipped to help people having gone through it all, so there was a reason. 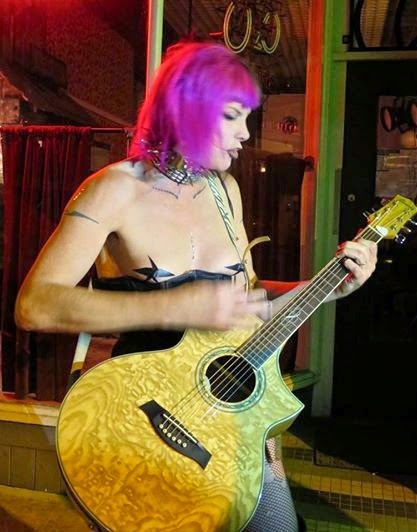 Monika: Today it is my pleasure and honour to interview Venus de Mars, a transgender artist from Minnesota, poet, singer, songwriter, painter, and leader of punk-glam band All the Pretty Horses. Hello Venus! Monika: When did you decide that music will be your profession? Venus: Ha! OK... well Hmm. I guess it started as a desire way back when I was a kid... you know. The glamour... seeing the portrayals, lifestyles etc. in media from back then. That kind of attracted me to it all...but I was way to shy to sing... didn't think I could really, so I just concentrated on playing the guitar. Started on acoustic when I was like 10 years old... and did basic lessons, but I branched out on my own and tried to learn classical, and flamenco... all that stuff, but rock still called to me. 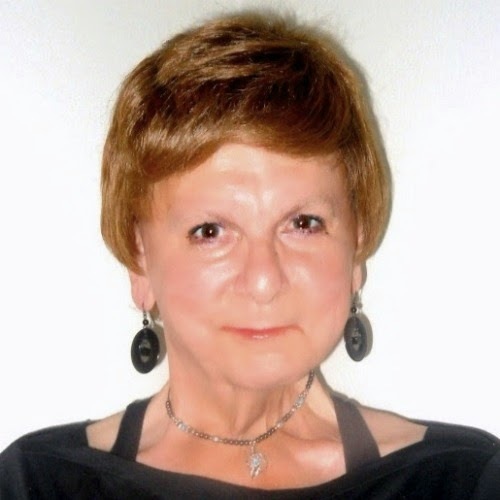 Monika: Today it is my pleasure and honor to interview Alessandra Bernaroli, a transsexual activist from Bologna in Italy, whose legal victory was an important step for transgender rights in Italy. Hello Alessandra! 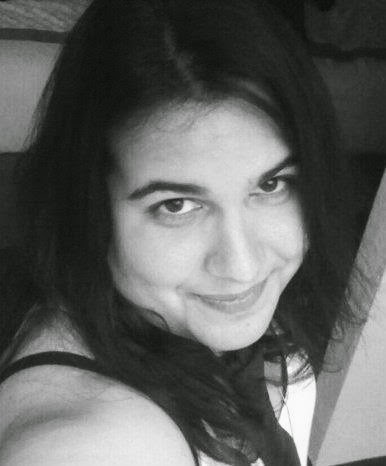 Alessandra: Hello Monika, thanks for this opportunity to talk about LGBTI Civil Rights! Alessandra: I was born a man in 1971 and lived my life forcing myself to adhere to the image that the society established for people who had male appearance. In my teen years there wasn’t Internet nor so much “correct” information about transsexualism, so I always tried to deny my intimate feelings, believing that they were wrong and it was happening only to me and no one else in the world. However, that was not true; now I know it! So I behaved trying to look as manly as possible, and I succeeded easily in doing this also because of my physical appearance, which was, at that time, indubitably a male appearance both in aspect as well as in attitude. Year after year my deep feeling to be a woman didn’t disappear, of course. I graduated in economics, served one year in military service, practised charted accounting and finally worked as a clerk. In the meantime, I found love and I got married. Until then, it was 2005, I was a man! Monika: Today it is my pleasure and honour to interview Natalie Colleen Gates, an American writer, blogger, the author of Straight Boy/Queer Girl: A Memoir. Hello Natalie! Natalie: Oh my God, I'm so bad at things like that. You'd think being a blogger and having just written a memoir I'd be better at it. I don't know: I'm 32. I live with my dog Victoria Elizabeth in Richmond, Virginia. Monika: Why did you decide to write your autobiography “Straight Boy/Queer Girl: A Memoir“ (2014)? Natalie: To make money [laughing] at first. I've been blogging for a long time and people for the most part like my writing I thought I should take some of the energy I put into blogging and write a book. As I got into the project I realized it was important because I was writing the trans* memoir I wish existed before I transitioned. All the memoirs I've read start with the trans* person in the present after they've transitioned. I didn't want to do that. I wanted to share my experience of thinking I might transition but not being sure about it. I really wanted to share with my readers how I came to the conclusion that I needed to transition. I also wanted to share how what I was going through as a closeted trans* person was similar and how it was different from other closeted people's experiences. 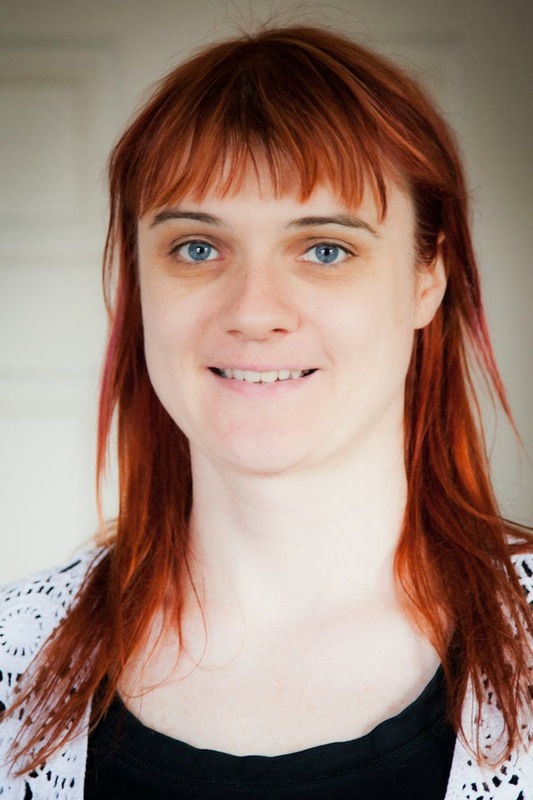 Monika: Today it is my pleasure and honour to interview Anna Kristjánsdóttir, a transgender activist from Iceland, former marine engineer, co-founder of Trans-Iceland. Hello Anna! Anna: Thank you Monika for giving me this honour. Anna: As for my education and work, I am educated as a marine engineer officer and still working as a technical person; now working as a control room engineer at Reykjavik Energy, and going out to sea on merchant vessels every summer and also voluntary working as an engineer aboard a SAR boat (Search And Rescue), similar to the RNLI service in Great Britain. 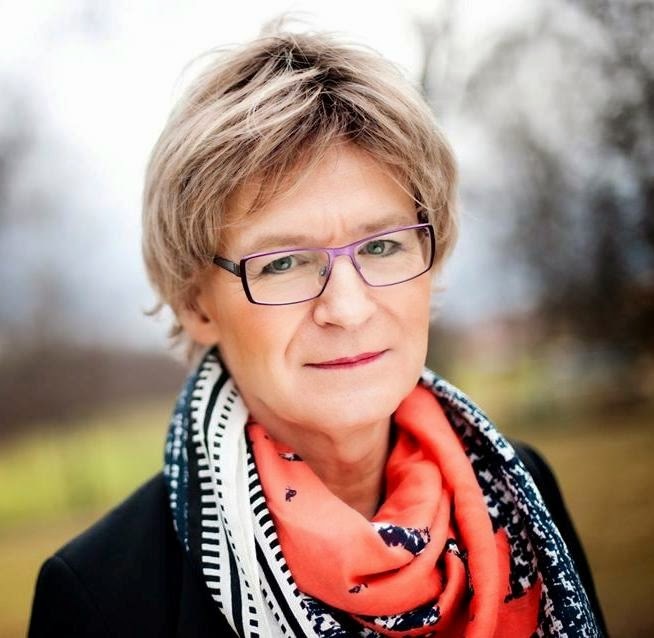 Monika: Anna, you are the icon and legend of the transgender movement in Iceland. How do you carry this burden? 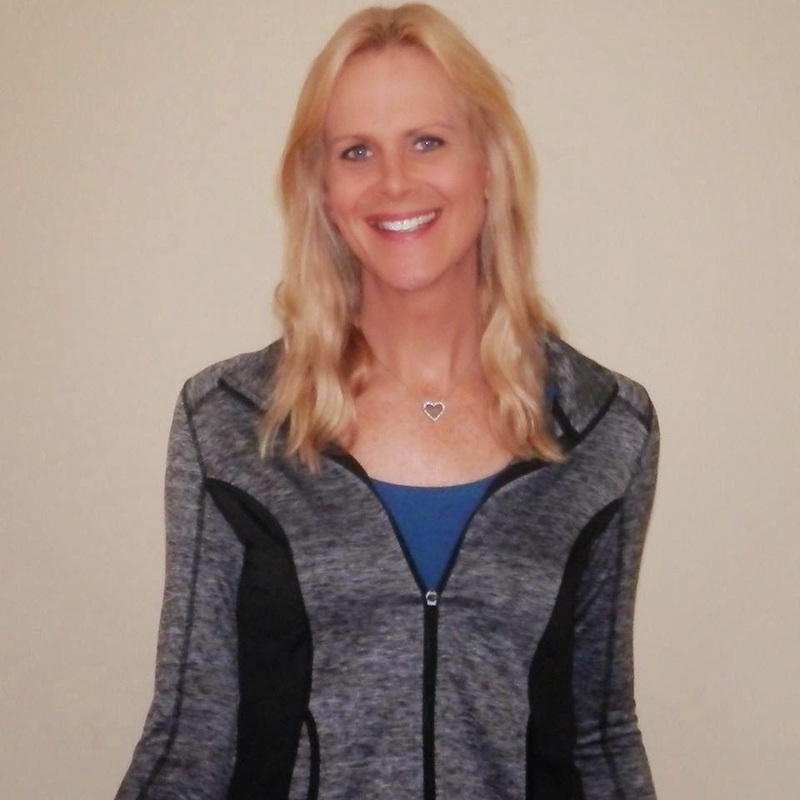 Monika: Today it is my pleasure and honour to interview Kathryn Camfield, a blogger, writer, former radio announcer, and transgender ally from Reno NV. Hello Kathryn! Kathryn: Hi Monika, and thanks for your interest in me. Kathryn: A few words? I laugh because my wife Cindy would be saying “be careful what you wish for.” Anyhow, I’m a transgender ally. 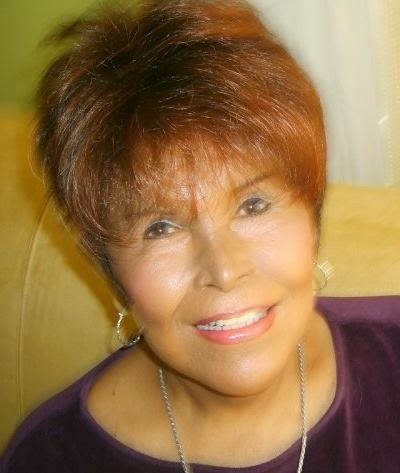 An experienced cross dresser since 1957, I have lived and worked as a woman, on and off, since 1998. I reside in Reno NV with my wife, Cindy. I was a radio announcer for about 34 years in Ohio, Michigan, Texas and Florida. In addition, I have written four published books and I taught people how to write books, on America Online, for 7 years. I have played guitar, bass guitar and djembe (a hand drum) and have worked on a various computers since 1986. Since I came out in 1998, I have worked as a woman. First, (1998-2005) as office manager and workshop coordinator for Mark Allison Acting Workshops in Pasadena, California. Secondly, (2005-2013) Supervisor of store operations for Las Vegas HQ, a chain of souvenir shops in four Las Vegas casinos (Tropicana, MGM Grand, New York New York, Excalibur). Monika: Today it is my pleasure and honour to interview Heli Hämäläinen, a married woman from Helsinki, Finland, Senior Customs Officer in Finnish Customs, and a father. Hello Heli! Heli: Hello Monika, it is my pleasure to meet you. Heli: I am soon 51 years old. I have worked the most of my career as a public servant. I graduated in 1991 from Helsinki School of Economics which is nowadays a part of Aalto University. I got married in 1996 in Keuruu Church that was built in 1892. I am Evangelical Lutheran. My daughter was born in 2002. In Autumn 2004 I felt that I could no longer suppress my female identity. My life was awful because even the advertisements in bus stops reminded me about my gender. I couldn’t read women’s magazines. My wife gave me advice to seek professional help and I did. A referral was written to official transsexuality investigations in November 2004 and I met the psychiatrist in February 2005. 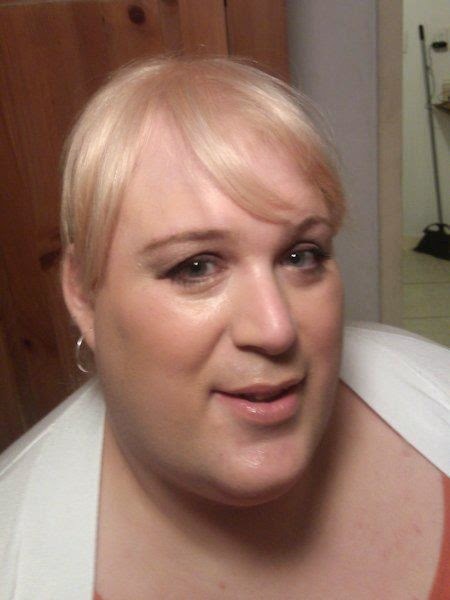 I was diagnosed transsexual in April 2006 and I changed my forenames in June 2006. 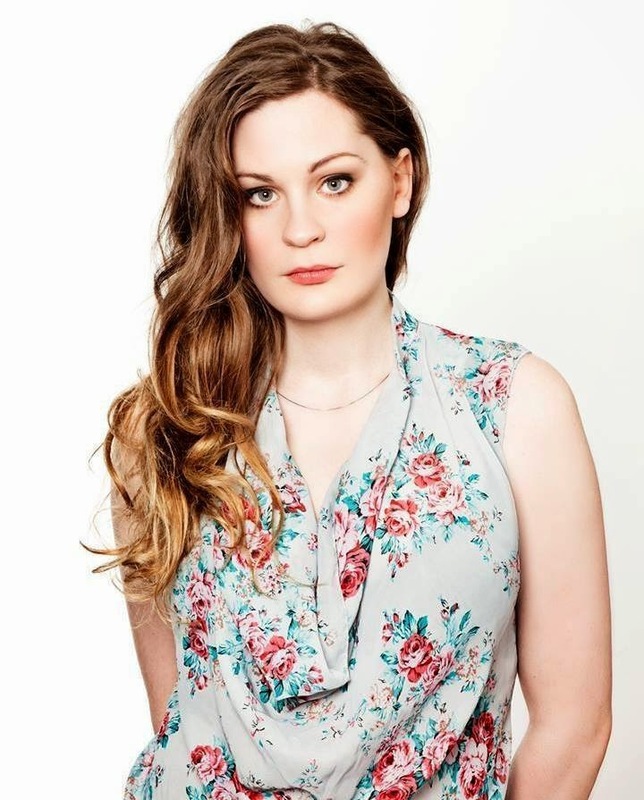 Monika: Today it is my pleasure and honour to interview Shelley Bridgman, a British stand-up comic, presenter, actress, and writer who started stand-up in 2004 under the stage name Shelley Cooper before reverted to her real name, the 2012 Silver Stand Up honoree, transgender activist, the author of Stand-up for Yourself: And Become the Hero or Shero You Were Born To Be (2014). Hello Shelley! Shelley: Not sure what is most relevant. I have several roles as in addition to Stand-up I am a Psychotherapist working with children and adults who have issues with their gender identity. I also do a weekly podcast when I interview people. Shelley: I think it is something about having a voice. Many of us, especially transwomen, lose status when we transition but I think I reconnected with my love of comedy after transitioning. It helped me find a vehicle to express myself. 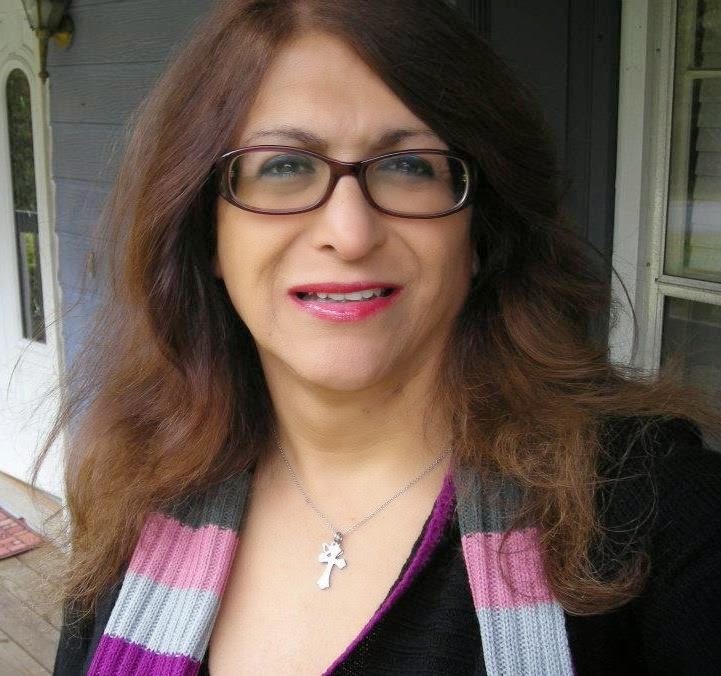 Monika: Today it is my pleasure and honour to interview Bobbie Lang, a transgender activist from USA, businesswoman, blogger, Viet Nam veteran, the author of "Transgender Christian in Chains". Hello Bobbie! Bobbie: Hi Monika, thank you so much for asking me to be part of this wonderful group of people who are doing so much to advance the acceptance and civil rights of the trans community. 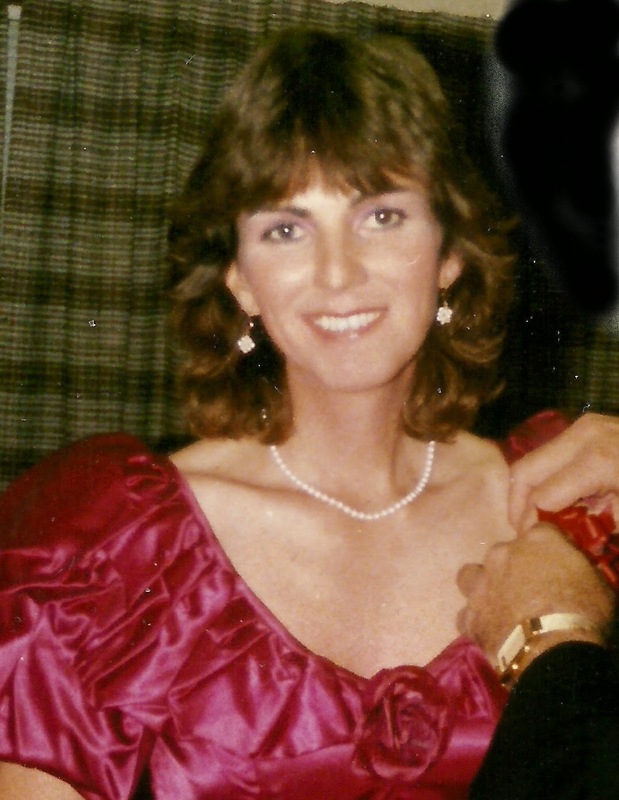 Bobbie: Well to start with I started my transition in 1981 and had GRS in 1984. At that time the term “transgender” had not even been coined yet. We were called transsexuals and even the professional community knew very little of this dysphoria. Many of the medical and therapeutic specialists thought this disorder could be alleviated with extensive and lengthy psychological treatment. Sadly, I find this approach is still widely believed within most denominational Christian churches. Monika: Today it is my pleasure and honour to interview Fernanda Milán, a Guatemalan native, the first transgender person to be granted asylum in Denmark. Hello Fernanda! Fernanda: Hi Monika! Thank you for your time and for being so patient with the delay of the interview. I hope you are fine! Monika: The fight for your asylum in 2013 was a challenging task. Let’s go back to those times. Could you say a few words about your life and Guatemala and emigration to Denmark? Fernanda: Well, as you say the fight for the asylum was very challenging in so many ways. As for Guatemala, it is a difficult place for a transgender woman. I would like to be more general about the issue of living there because this is the context that I happen to have shared with so many people. It is an environment of rejection by your family circles, friends, education institutes and work places. When you decide to start transition or to come out of “the closet”, you live ostracized from everything that you know because in general all the girls back there feel that they were born female, which is in contrast with the public opinion that being a trans woman is a choice. 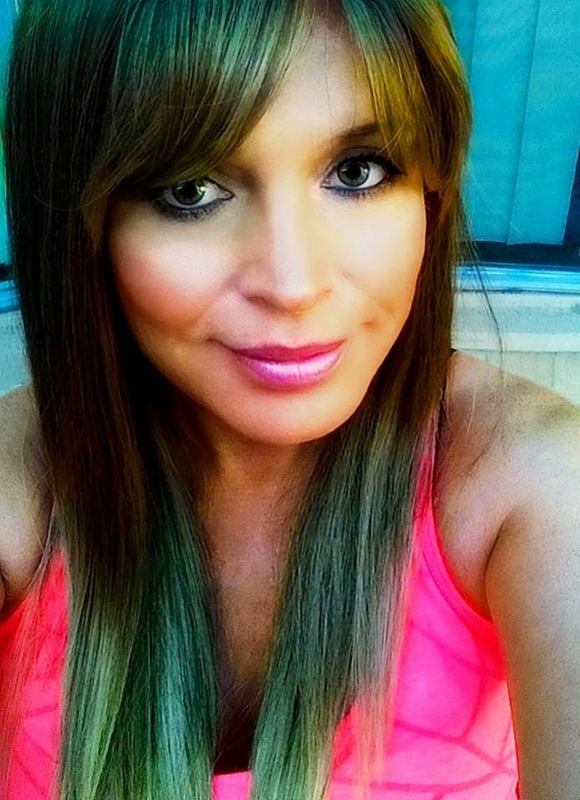 Monika: It is my pleasure and honor to interview Jennifer Michelle Chavez a transgender activist and master auto technician from the U.S.A. Hello Jennifer! Jennifer: Hello Monika and thank you for the opportunity to speak with you! Monika: Could you please say a few words about yourself? Jennifer: I would be happy too! 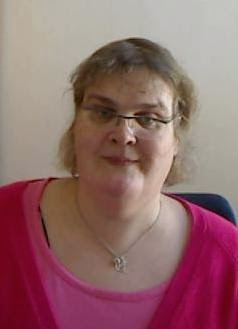 I am a 57 year old woman who made the decision to transition 5 years ago! I finally found the courage to face my condition after 52 years and a whole lifetime of stress and turmoil! I knew I was different as early as 4 years of age, and as I grew I learned more about it and what it was called. I tried to transition when I was a teenager and moved away to Los Angeles from my native Texas, but was thwarted by the many obstacles I encountered. My only regret at this point is that I wish I could have done it back then, but I would not have the greatest gift a person can have and that is my son Cody! 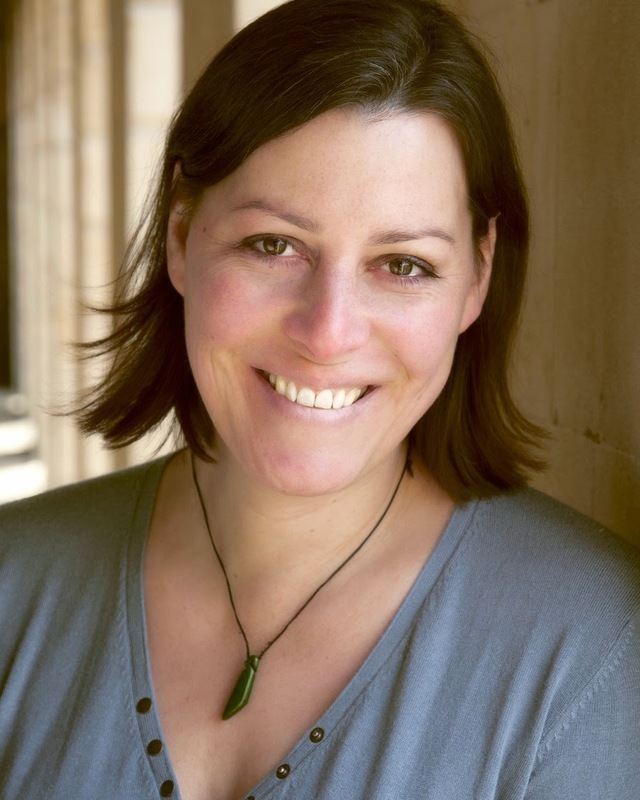 Monika: Today it is my pleasure and honour to interview Rebecca Root, a talented British actress, voice and speech teacher, stand-up comedian, playing the lead role in “Boy Meets Girl” - a recently commissioned sitcom for BBC2 about the relationship between a transgender female in her 40s and a cis-gender male in his… 20s. Hello Rebecca! Rebecca: Hi Monika, thanks for the warm welcome! Monika: We are closer and closer to the premiere date of “Boy Meets Girl”. Is your excitement growing? Rebecca: Certainly! It’s hopefully going to make a bit of a splash. I hope the response will be as upbeat as the early signs have indicated. Having said that, we have a way to go yet – filming should commence in the new year and I don’t know when it will actually hit the screens. Monika: Today it is my pleasure and honour to interview Denise Brogan-Kator, a lawyer, transgender activist, Senior Legislative Counsel for the Family Equality Council, a national LGBT rights organization, the former Executive Director of Equality Michigan, co-founder of the Rainbow Law Center, recipient of the 2009 Pride Banquet Committee’s Choice Award, businesswoman, U.S. Navy Submarine Force veteran. Hello Denise! Denise: Hello, Monika! Thank you for having me. Denise: Well, the thing that is most present for me, these days, is the birth of my first grand-daughter. So, despite all my accomplishments and activities, being a grandmother is currently my most important and most exciting job. And, family is – and has always been – at the root of my passions. It is such a natural fit for me to work for the Family Equality Council. Monika: Today it is my pleasure and honor to interview Felicia Flames, a transgender pioneer, diva, icon and Screaming Queen, 27 years survivor of AIDS and a Vietnam Veteran - one of the participants of the 1966 Compton's Cafeteria Riot, which was one of the first documented instances of transgender resistance to authority in the USA. Hello Felicia! Felicia: Hello Monika and thank you for interviewing me, it is an honor for me. Felicia: You have to remember it was in the 1960’s, and to a lot of people thought we were sick, mental, trash and nobody cared whether we lived or died. Our own families abandoned us, and we had nowhere to go. And we were tired of the police harassing us because of who we were meant to be. We were murdered, killed, thrown in jail, raped and thrown out like trash by our families and friends. And in those days, I hear that the mafia had control of the TL, and all documents to this day were lost and no record of that day except for an unknown newsletter that documented that day. And nothing else. 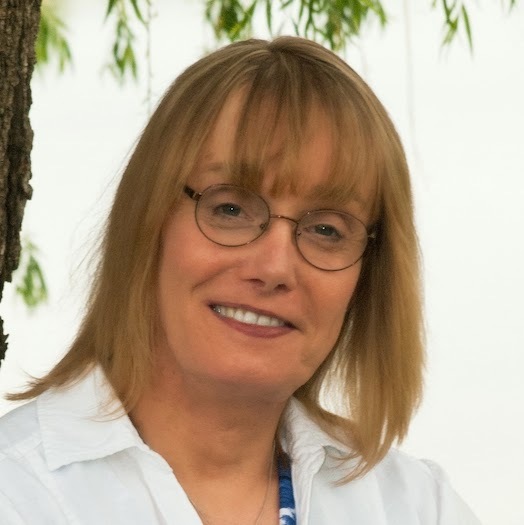 Monika: Today it is my pleasure and honor to interview Allison Woolbert, a transgender activist from the USA, Air Force veteran, founder of The Transgender Violence Tracking Portal - a database to track crimes targeting transgender people, and the Executive Director of the Transgender Human Rights Institute. Hello Allison! Allison: Hi Monika- First, thank you so much for selecting me for being a heroine. It is truly an honor to be able to do an interview with you. Allison: Well, I grew up in Silver Bell, Arizona, a remote copper mining community (now a ghost town) where I never quite fit in. 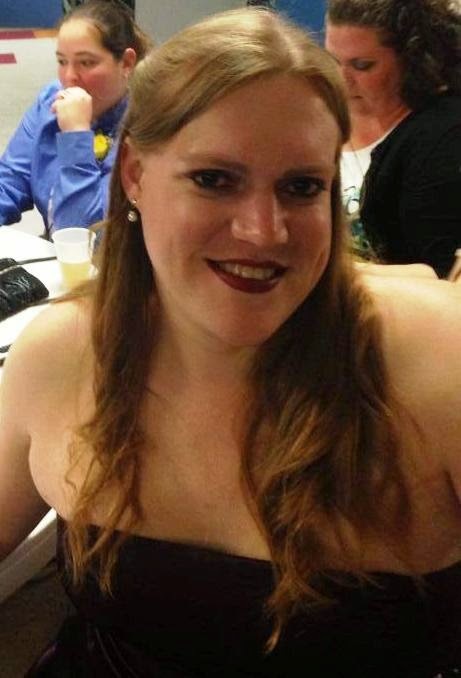 I ended up in the Air Force where I absolutely didn’t fit in, and in 2008, I began the process of transition. I finally feel whole as a person, and feel that I truly fit into myself. 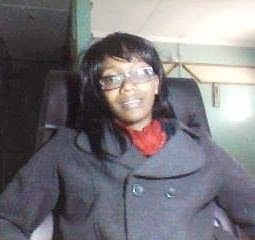 I’m the CEO of Phoenix Consultants Group, a software development company. I’m also the Founder of the Transgender Violence Tracking Portal and the new Executive Director of the Transgender Human Rights Institute. Monika: Today it is my pleasure and honor to interview Gia Versace, an American entertainer and beauty pageant queen. Hello Gia! Gia: Sure, I was born and raised on the windward side of Oahu in a city called Kaneohe. Gia: My fascination with the stage began when I took drama class in high school and it became real clear that I wanted to be a showgirl when I saw my first drag show in a night club called Venus. 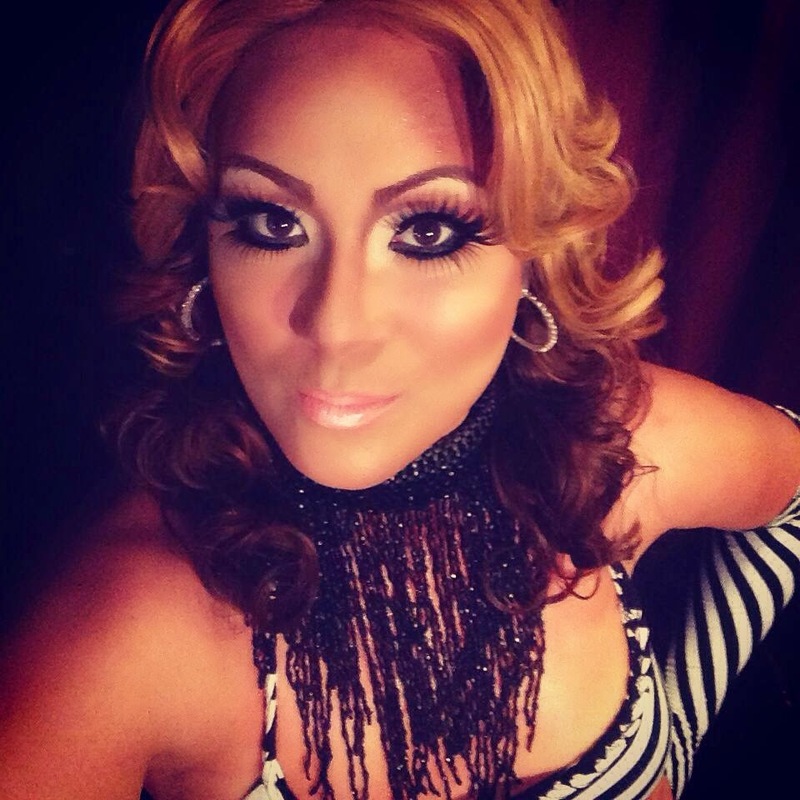 Gia: I have done shows and many fundraisers and night clubs such as Venus, which is now called Bar 7, and I am currently a showgirl at Fusions Waikiki (home of the two longest running female impersonation shows in Hawaii). 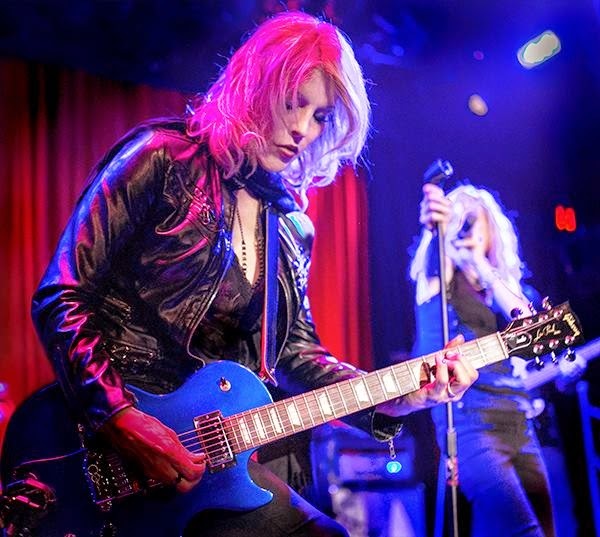 Monika: Today it is my pleasure and honour to interview Lora G, a Hollywood, California - based composer, guitarist and keyboardist, co-founder of Lunden Reign. Hello Lora G! Lora G: Hi Monika, thank you for reaching out to me. Monika: When did you decide that music would be your way of life? However, at 19 I left music to go to college. I didn’t return to music until after an amazing Emmy winning career in television and radio including working for Disney over 14 years. I returned to music about 7 years ago after realizing how much I missed it. 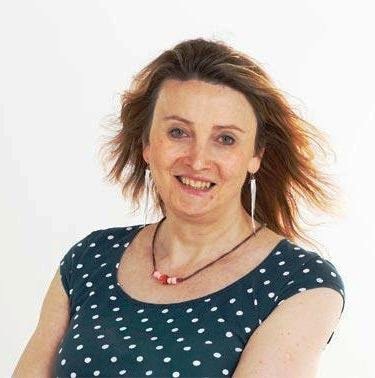 Monika: Today it is my pleasure and honour to interview Helen Belcher, a British trans rights campaigner, member of the UK Parliamentary Forum on Gender Identity, one of the founders of Trans Media Watch, software developer and businesswoman. Hello Helen! Helen: It depends what you want to know. I’ve just turned 50, I’m happily married with two fantastic children who are in their teens, I’ve been a computer geek since my teens, and have run my own company for the past 10 years selling software that I’ve written. I sing in a good local choir, I’m a school governor, and I campaign on trans rights. It could all sound incredibly glamorous, but there is a lot of hard work and, generally, I think I’m incredibly boring! It’s just that I’ve had the good fortune to be in some of the right places at some of the right times. 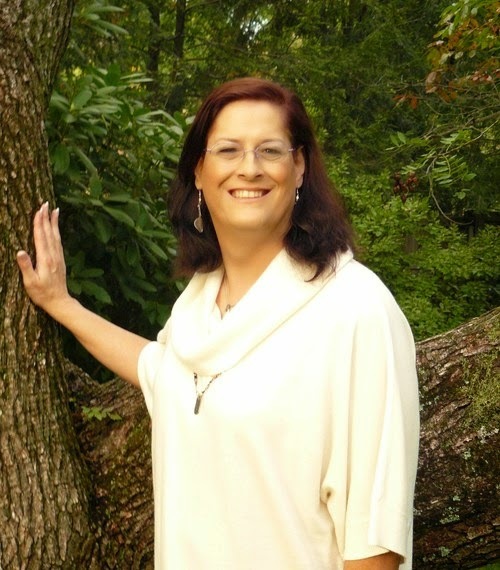 Monika: Today it is my pleasure and honour to interview Kristine Holt, a transgender activist from USA, speaker, author, lawyer, graduate of Temple University School of Law, former judicial clerk at the Superior Court of Pennsylvania, successful litigant in civil-rights cases. Hello Kristine! Kristine: Sure. I’m a parent, a grandparent, a spouse, an attorney, a musician. I lean far-left on most political and social issues – a throw-back radical hippy freak, if you will. 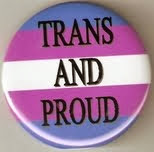 I transitioned in 1992, when there were just enough of us out and about to make people uncomfortable. I’ve had a fun and sometimes frightening life, and I hope to be around for a while longer. Monika: Today it is my pleasure and honour to interview Jessica Bussert, an American emergency room nurse, firefighter, professional photographer, inventor, and former IT professional. Hello Jessica! Jessica: Hi Monika! Sorry for taking so long in getting this together. I've recently had a few major surgeries and have been laid-up with recovery. Jessica: "a few words about myself" *grins*. Monika: It has been almost 10 years since you were demoted from your senior IT job at Hitachi Data Systems after you started your transition. Are you still bitter about it? Jessica: Well, just to set the record straight, the company claimed that I was not demoted. It was their assertion that everyone else had been promoted above me. Yeah... Right... Am I bitter? Yeah, a little bit when I'm having a bad day. That said, I try to focus on the positives instead to dwelling on the negatives. If things hadn't turned out the way they did then I would have never discovered nursing. And I -love- being an ER nurse! Monika: Today it is my pleasure and honour to interview Nicole Bray, an inspirational transgender woman from the USA, the main character of the documentary “Untitled Documentary – Nicole’s Story”. Hello Nicole! Nicole: Hello, Monika! Thank you so much for taking the time to interview me to learn more about my story and about the documentary I am producing. Nicole: Sure! I am an independent filmmaker currently focusing on documenting my unique life story on film. I observed that my sense of humor is my greatest asset in making my way through transition. Furthermore, I really enjoy travelling and wish that I had endless funds to do so. Additionally, when I’m not filming movies, I love to watch them encompassing a range of genres. I’m also an avid researcher and spend a great deal of time educating myself about particular topics. By the way, the title of the documentary, “Untitled Documentary – Nicole’s Story” is temporary. Once we have acquired a Director/Producer/Writer team, we will determine a fitting title for the documentary.